This was a clean out the refrigerator kind of dish. The sauce was basically a little olive oil and pasta water. This can easily be made vegan by omitting the turkey sausage. 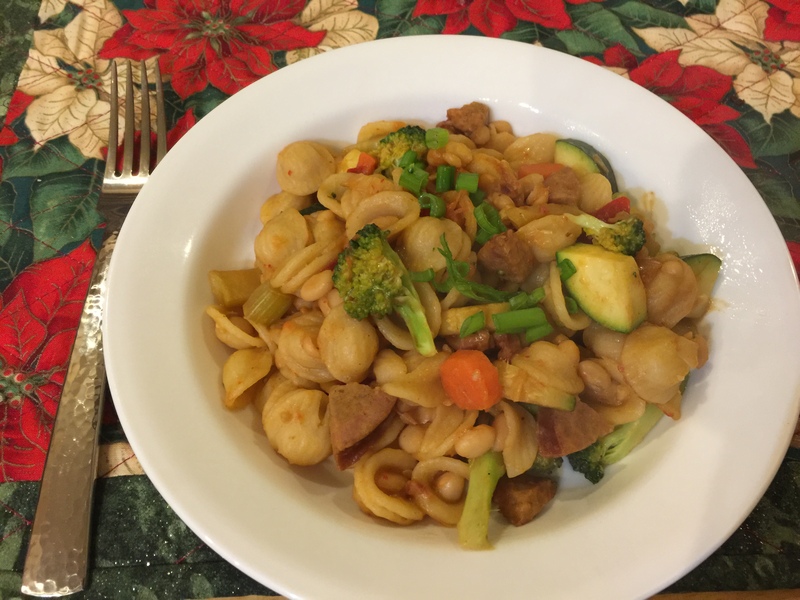 This entry was posted in leftovers, Legumes, Pasta, Poultry, Vegan, Vegetables, Vegetarian and tagged pasta, Vegan, Vegetables, vegetarian. Bookmark the permalink.